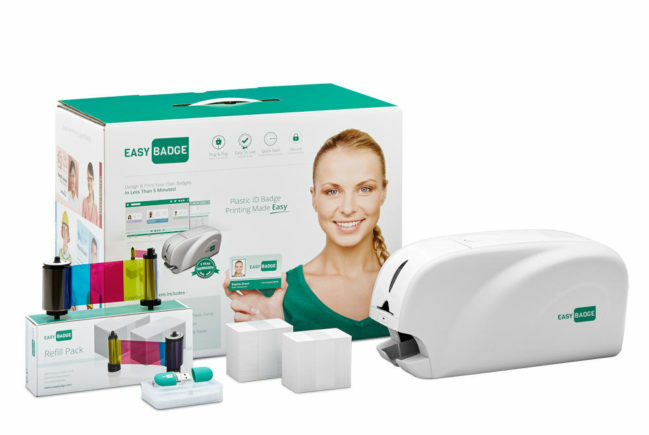 My ID Card Printer Isn’t Printing in EasyBadge, How Can I Resolve This? If your ID card printer is not printing when you click print in EasyBadge (or your own printing software) follow these simple steps. You may need Windows administrator rights to do follow these steps. Step 3. 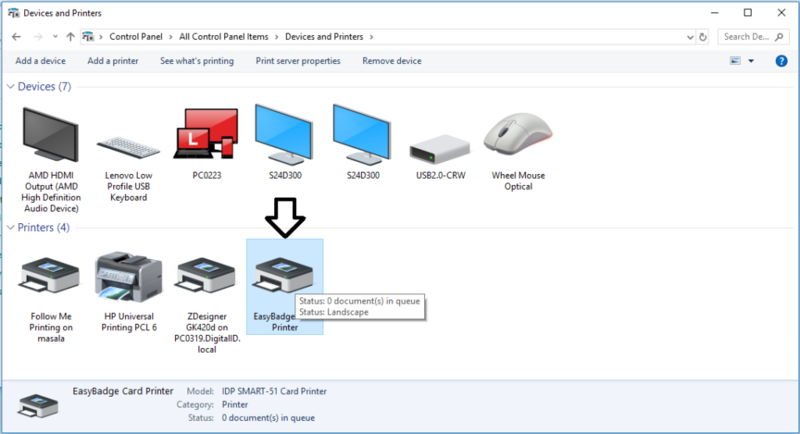 When Devices & Printers is open double click the EasyBadge (or other manufacturer) Printer Icon. Step 4. 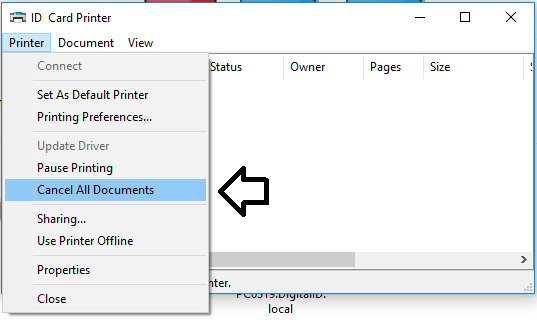 Click ‘Printer’ on the menu and then select ‘Cancel all Documents’. Turn off the printer for 10 seconds and then switch it back on. Step 5. Now search for “Services” on the Windows Task Bar. Step 8. If you are still having issues printing your cards check the following things. 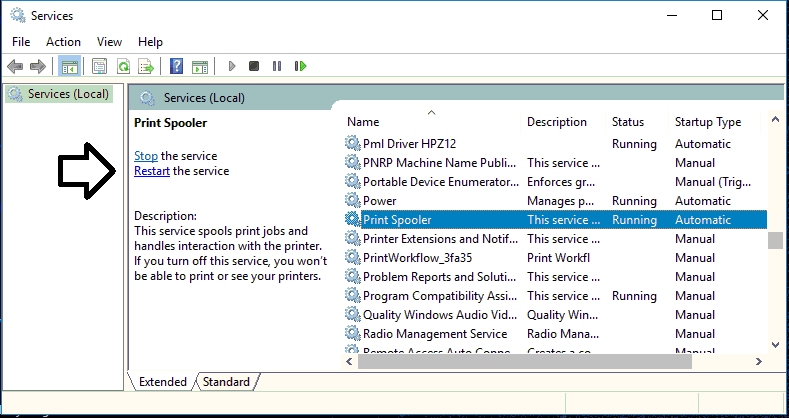 Try connecting your printer to another USB port. Avoid USB 3 ports which will have a blue insert or have ‘SS’ printed next to them . Try using another USB Cable, make sure the cable is no longer that 2 meters. Make sure if you have a laptop it is connected to the mains and not in a power saving profile. If possible avoid connecting the printer to a USB hub and connect direct to the back of the PC. Make sure the correct power supply is being used. A card printer has a special 24V output PSU supplied with it. Shut down your PC so it turns off completely, leave for 5 minutes an power up. This reloads all the USB drivers on the PC.